Hello! Thanks for checking out my newest build thread! To start things off, I'd like to set a little background. About 5 years ago I broke down my 225g Reef Savvy tank and sold everything off. At that point in time my wife and I had just had our first child, and I really started to get burned out on the hobby. It felt more like a job than something I enjoyed. I had many ups and downs during those times, and it was extremely hard to sell everything off. 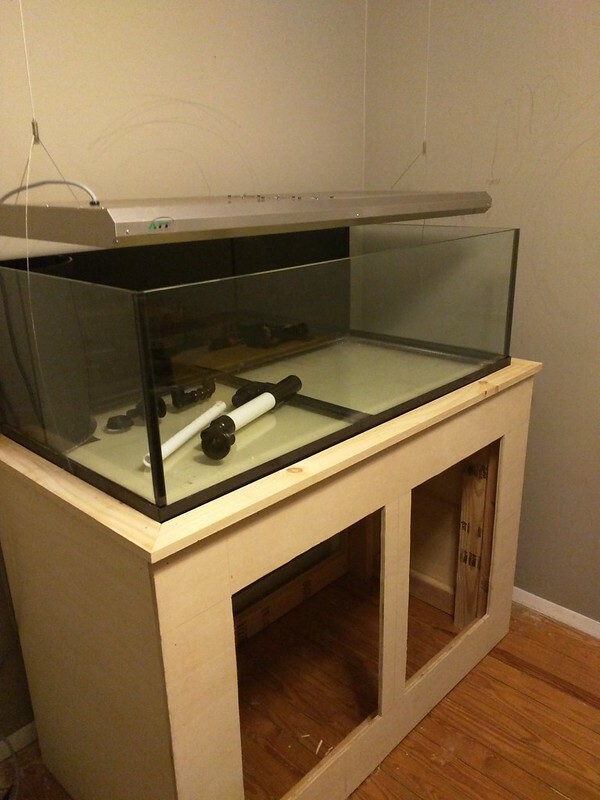 Fast forward to present day, within the past month or so I started to get the "itch" again to set up another tank. One night I woke up out of a deep sleep at about 3am, and my only thought was "I need to setup a reef tank again". Weird huh? Of course to get started I had to get the "OK" from the boss (AKA my wife ) It took some convincing but she finally agreed! Last edited by James404; 09/14/2017 at 09:52 AM. I knew off the bat, this tank was going to be SPS dominant. Acros were always my passion. 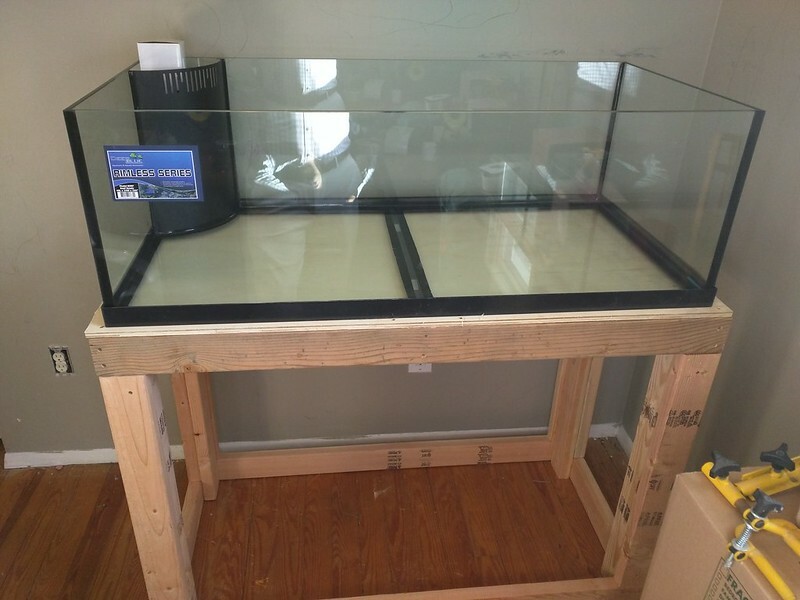 I initially thought about a 40 breeder display, they have great dimensions, but then remembered about the Deep Blue tanks. I decided on the 80g Rimless, which is 48x24x16. 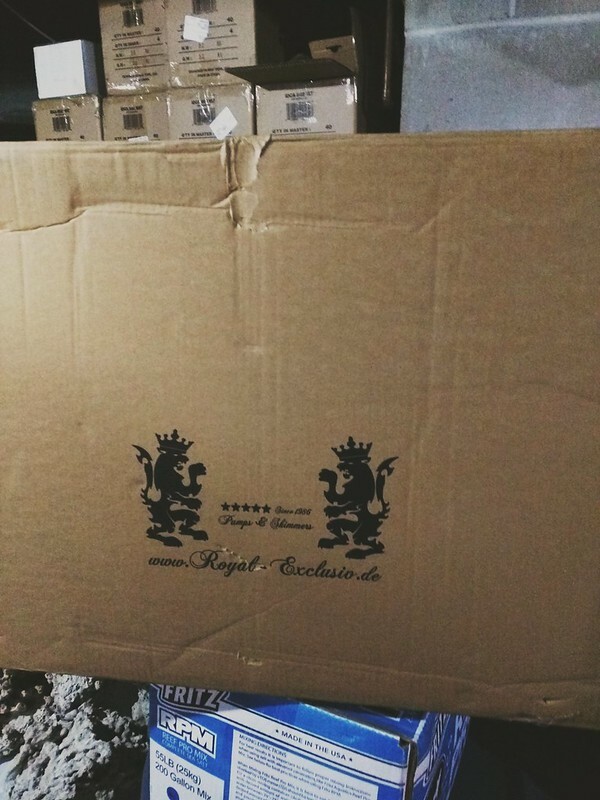 An order was placed at my LFS. I decided the best place for the tank would be in my home office. For the stand, I would use Rocketengineer's template. 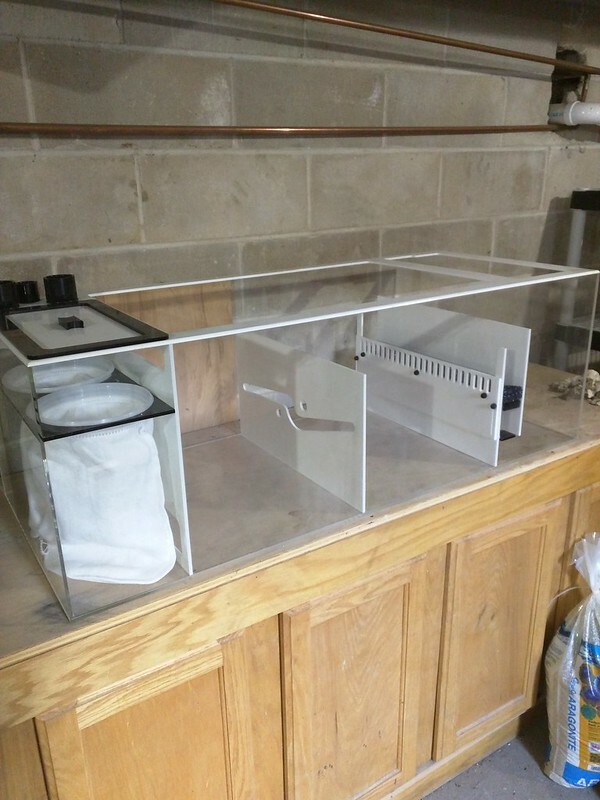 I have used that design many times on my previous tanks, including my 225g and never had an issue. Last edited by James404; 09/13/2017 at 07:08 AM. Here it sits on the stand. 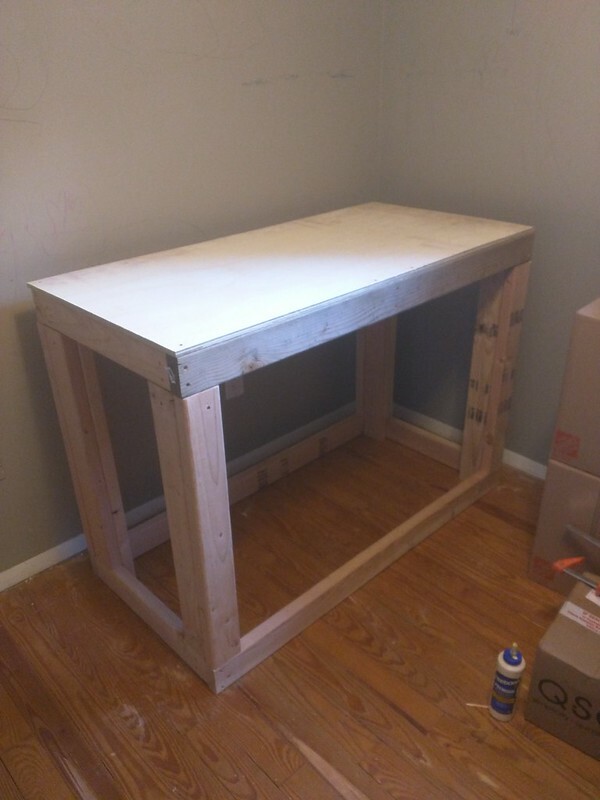 I built the stand an inch larger on each side since I knew I wanted to wrap 1x2s around the top to trim it out. I started to trim out the stand. 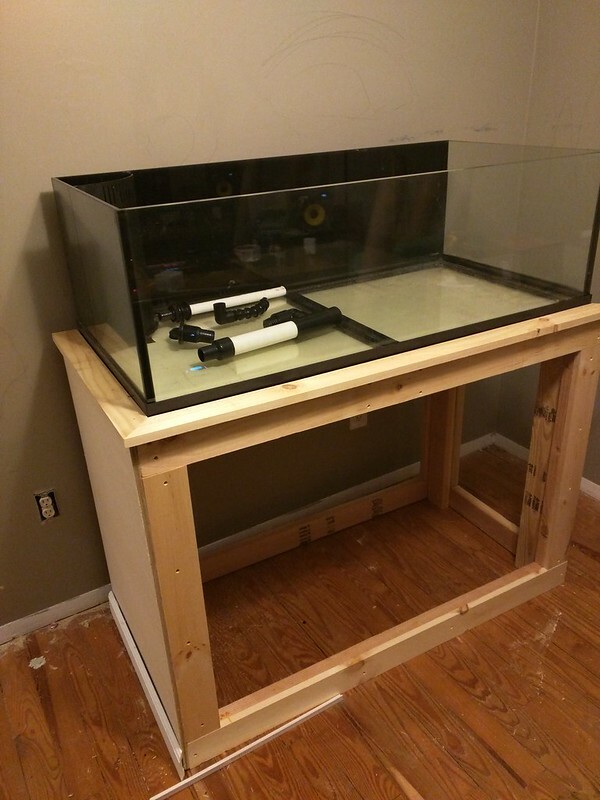 As said earlier, the top will be trimmed in 1x2's with mitered corners around the tank. Each side will be wrapped in 1/2" sanded plywood, with 2 cutouts in the front for cabinet doors. Disregard the base moulding in this pic, it was just placed there temporarily for testing. 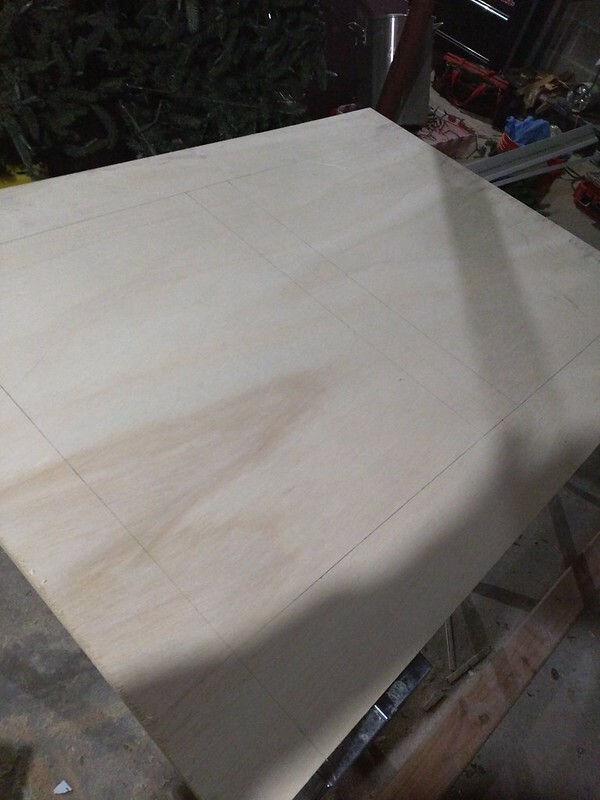 Initial layout to cut the front plywood sheet. For all my tanks I have always used BRS Pukani. 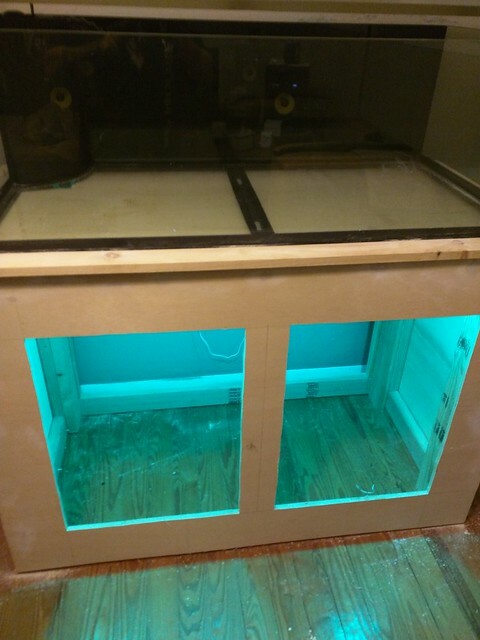 This tank will be no different. No other rock compares IMO. 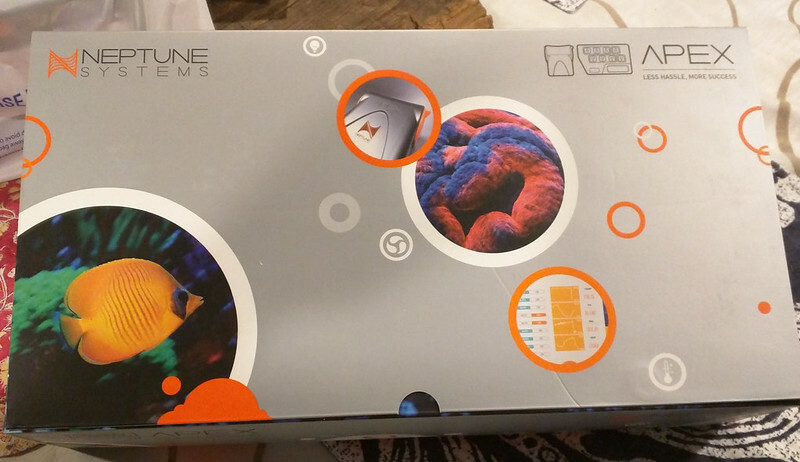 I ordered 60lbs. This is just all of it layed out on what used to be the stand for my 225g. 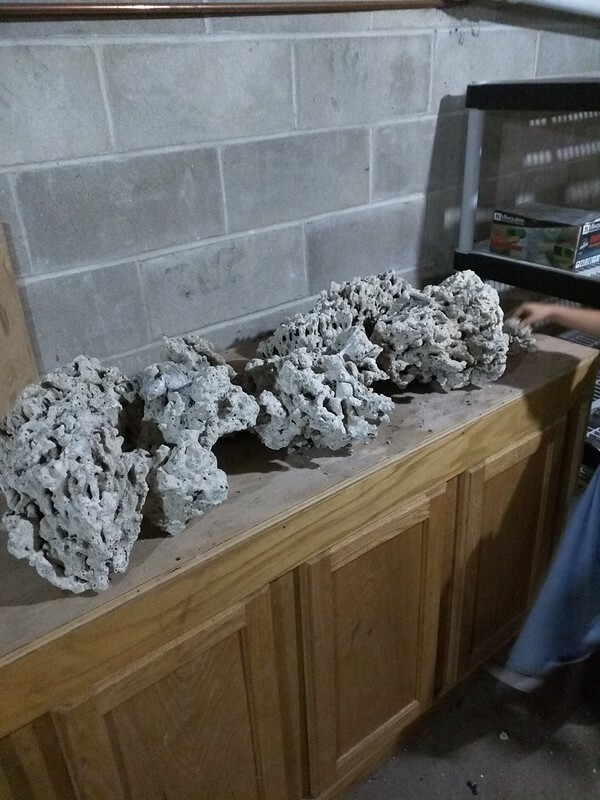 I will begin designing the aquascape soon. Lighting will be handled by the 48" ATI Sunpower 8x54w. Mounted directly to the ceiling via the included hanging kit. Installation was made simple using a plumb bob. More work was done on the stand but still not complete. The front skin with door cutouts was attached and the top trim was completed. Cabinet doors have been ordered, but there is a 3 week lead time unfortunately. The cabinet doors will be shaker style, with frosted plexiglass. 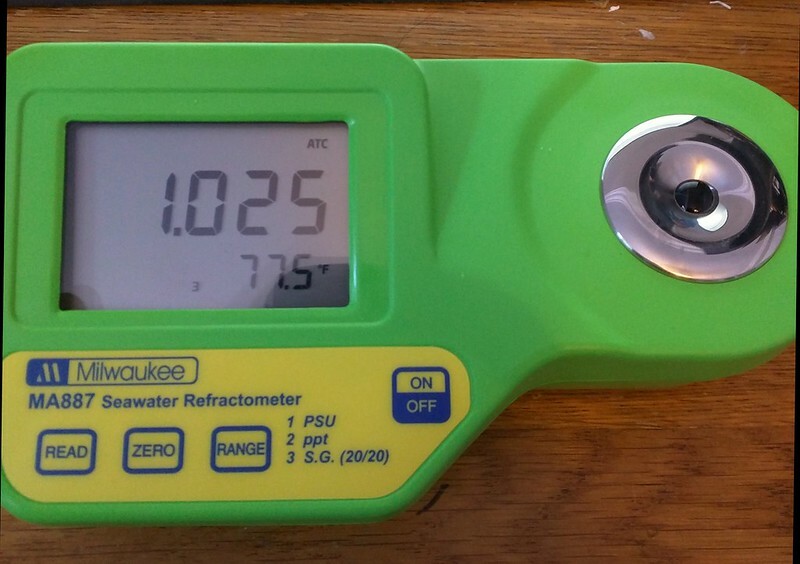 Manual Salinity measurement will be handled via the Milwaukee Digital Refractometer. 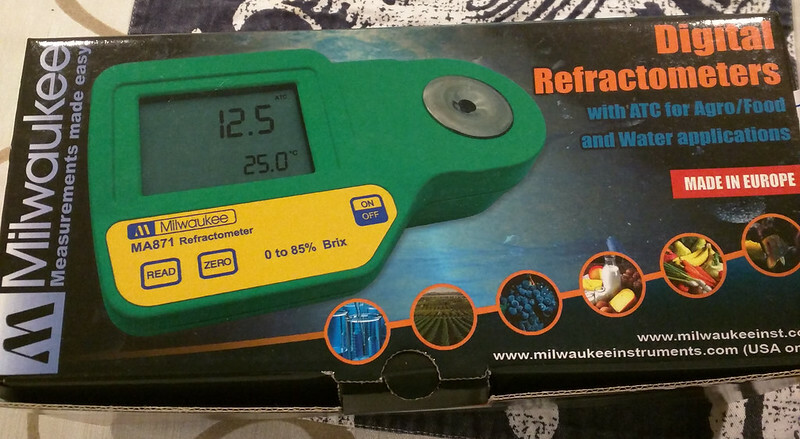 In the past I have always used the standard refractometer type, but usually found them frustrating. I am hoping the Milwaukee unit gives more consistent results and ease of use. 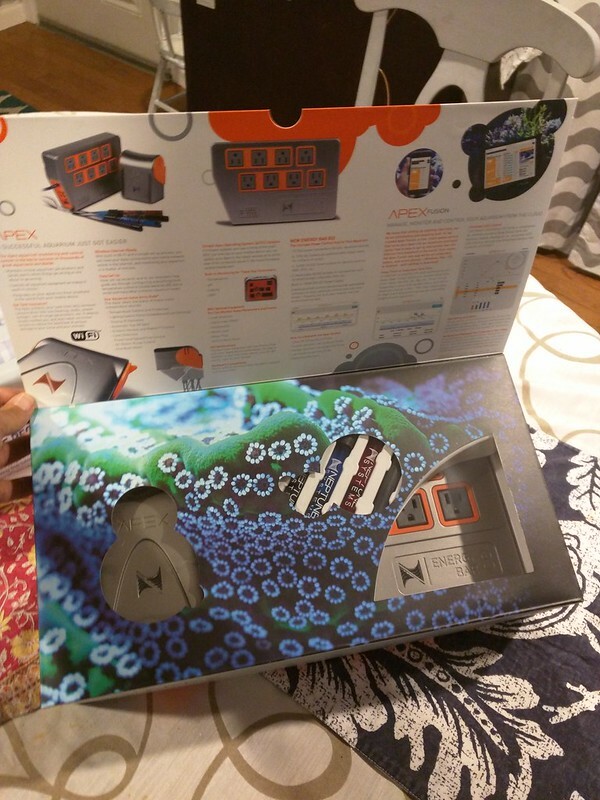 Automatic System Monitoring will be handled by the Apex 2016 edition. 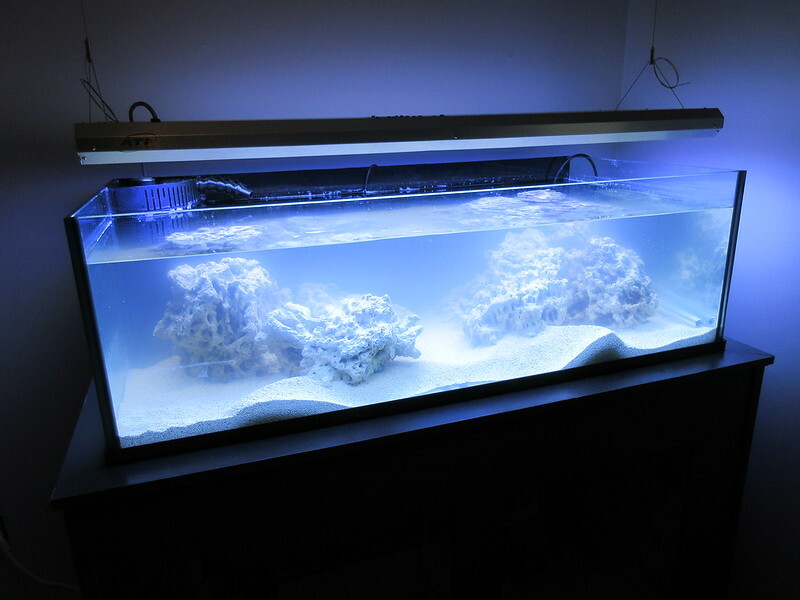 On my earlier tanks I originally ran Reefkeeper units but then switched to the Apex Classic, which I found far superior. Last edited by James404; 09/14/2017 at 08:27 AM. Picked up the sump today. It is a Trigger Systems Tideline 48. 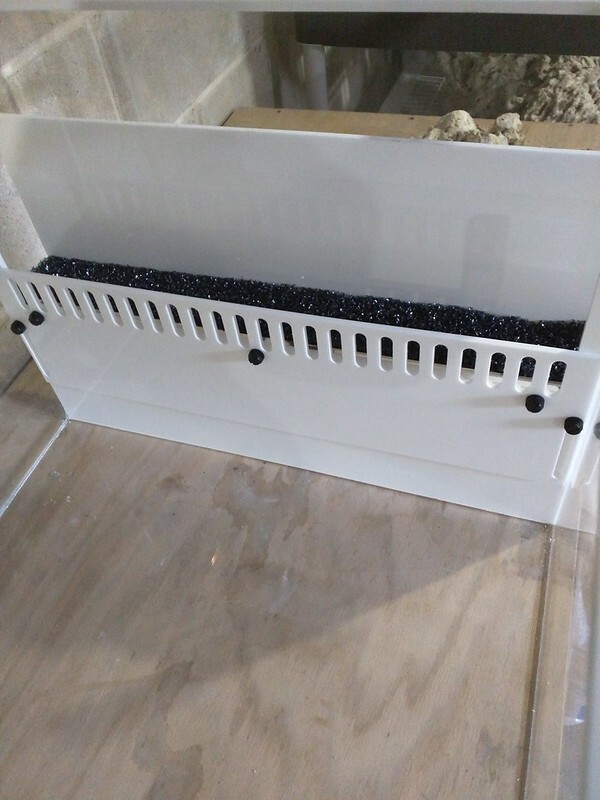 It measures 48″ long x 20″ wide x 16″ high and holds up to 64 gallons. Very impressed with the build quality! James enjoying your new build! I too used rocketengineer's design for one of my cabinets and my frag tank setup. I also went with a Trigger systems (ruby) sump. Love the quality. I'm lifting my tank onto the stand tomorrow. Wish me luck. I think on your 225 build you did this solo? I can't even imagine how you did that. Thanks! My original stand for the 225 started buckling when I was filling it up, was one of the scariest moments of my life LOL! I slowly lifted each side using pieces of wood until I could slide it onto the new one. Looking forward to seeing your build come together, definitely following along! Added some LED accent lighting to the stand, should look pretty cool when the frosted cabinet doors get added. Last edited by James404; 09/16/2017 at 08:59 PM. 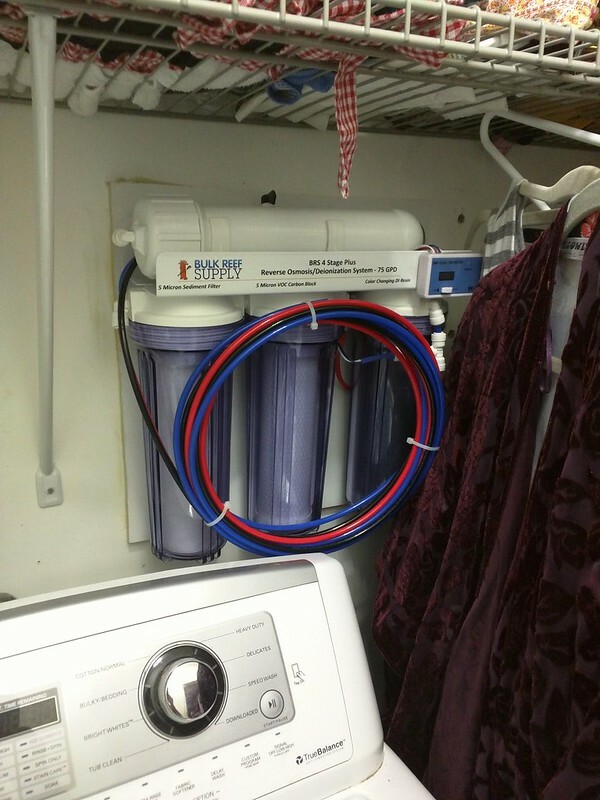 Mounted the BRS 4 Stage Plus system in our laundry room today. I decided on only the 4 stage since our water quality is known to be very good in this area, and they only add in small amounts of chlorine. In my previous builds I had a 5 stage but felt it wasn't necessarily worth the additional costs this time around. I am hoping to have the tank wet sometime this week! The stand is completed with the exception of the cabinet doors, which had a 3 week lead time. I also went 4 stage. Water in westchester county is high quality. 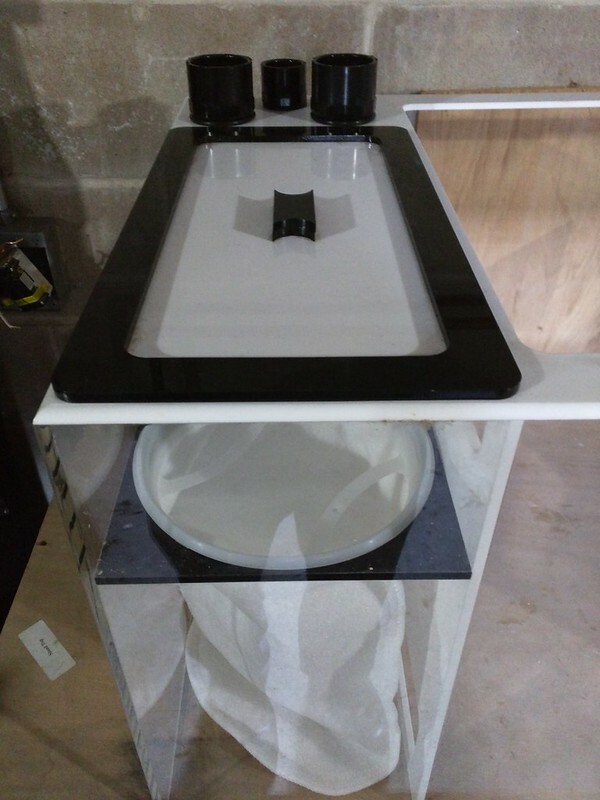 On your sump, will you place it beneath the display and if so are you putting anything under it? I'm debating what I can use for the occasional spill. I have nice hardwood floors like you for in pic above. The sump is actually going to go in my basement. Makes it much easier to do maintenance and plenty of room when adding on components. How has the tank been going? Flow is being handled by 2 x Maxspect Gyre XF-230's currently. Got the initial aquascaping done using the 60lbs of BRS Pukani. I knew I wanted an open area in the middle, and to avoid just the "Wall of Rock" look. Overall I am pretty happy with it. The sand was about 50lbs of Caribsea Special Grade Sea Floor Aragonite. 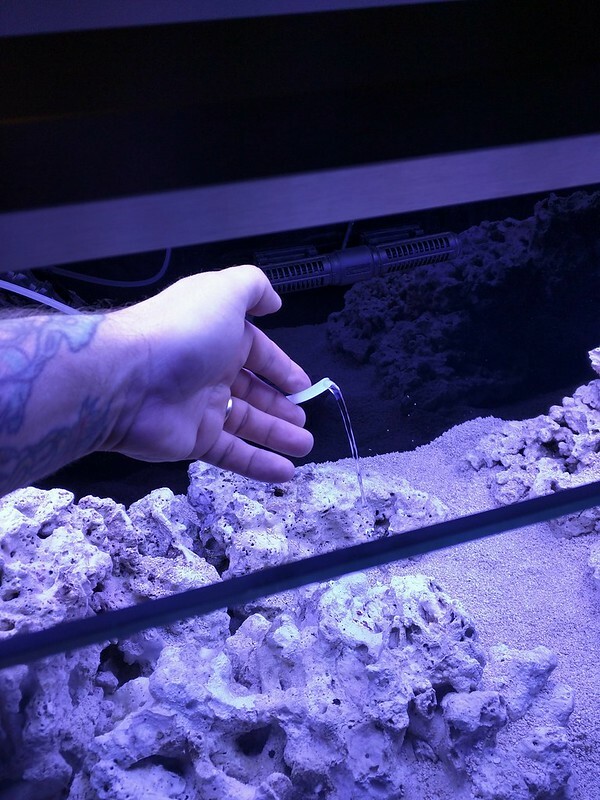 I've used this sand in my previous tanks and always was happy with it. And we have water in the tank! My plan is to fill it a little bit under the overflow to get the cycle started. 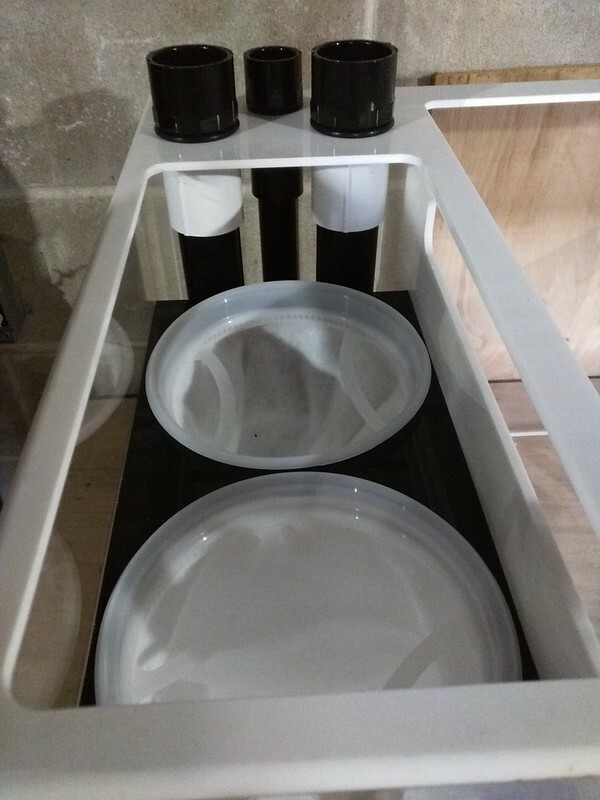 I haven't completed the plumbing yet, but once completed I will continue the fill into the sump. 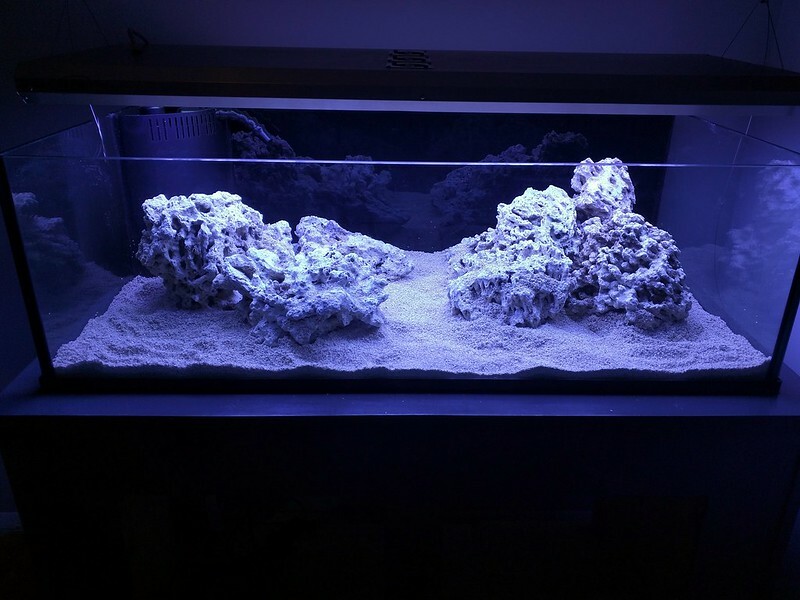 Tank filled, and salinity set to 1.025 using Fritz's RPM salt.